Though it is usually recommended that people employ a professional plumber when repairs are needed around the home, there are some who are able to do such work themselves. Even so, they do need to have the best quality tools and products to ensure the job is completed to the highest possible standard. • Water leakage – this could be from under the sink, faucet, tub, shower or toilet. • Blocked drains – either inside or out. • Leaking pipes or hose connections. With the correct plumbing parts and tools, there are ways that a person can complete these repairs without the need of a qualified plumber. Certain areas within the home do need regular maintenance repairs to be carried out. So learning how to do this yourself can save time and money, especially if you have an emergency or wish to avert one. There are many of online companies that stock plumbing parts for customers to purchase. However, it is always wise to do your research to ensure that you don’t choose a company with poor quality products. You can do this by reading the sites reviews to see what previous customers of theirs have written so you can make an informed decision. A lot of plumbing companies in Dallas,TX provide plumbing parts, can also guide the customer through the repair process. Offering booklets with step by step instructions so that full repairs can be carried out successfully. They can also help you to select the correct tools required to complete the task. There are a wide range of plumbing parts that are used around the house when home improvement repairs are required. 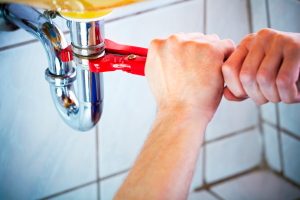 The type of plumbing parts that are needed will depend on the type of repair that has occurred, and its severity. It is always best to ask the advice of a qualified plumber if you are at all unsure before making any purchases or embarking upon the job yourself. This is usually when the help of a professional is advised as some of the jobs that are required may be rather complex for someone who is not fully converse of the procedures involved. No-one wants their home to end up flooded while upgrading their plumbing parts. Most plumbing companies that can be found online stocking parts carry a list of qualified plumbers for you if you don’t want to risk carrying out the works yourself. When choosing a plumber you should always ensure that they are fully insured, and have the relevant qualifications needed to complete the job. Then you can be confident that any repairs or home improvements are carried out to the latest trends and standards within the plumbing industry.